1.1 These Terms and Conditions together with any annexures (if any) constitute the agreement between you and Wildlife Auctions in respect of your access to and use of this website (the Site) and the content. It subsequently governs your relationship with Wildlife Auctions and is a legally binding agreement. Take therefore care to inform yourself of the content of this document and make sure you understand it as it contains and affect your rights and obligations in law. If you are uncertain, or you do not agree with any of the Terms and Conditions then you should not accept them. 1.2 We will provide you with the Services only once you have accepted these Terms and Conditions by clicking on the "I ACCEPT" button when registering with us. If you do not accept these Terms and Conditions, You may not use the Site, nor apply for registered use of the Site. Should you accept the Terms and Conditions but disobey any of them, legal consequences may follow as described later herein. Any unauthorized use of the Site terminates this agreement. 1.3 This agreement supersedes all prior understandings, purchase orders, agreements and arrangements between you and Wildlife Auctions. 1.4 Take note that we are not involved in the sale or purchase of any Products and all Products are sold by Wildlife Auctions as an Agent on behalf of the Seller. "Asking Price" means the price (per item for game and per lot for hunting packages) specified by the Seller for Non Auction Items. “Auction” means a fixed period or life interactive auction with or without a reserve price. “Auction basket” means a virtual basket into which all lots that a Purchaser has won a bid on or made an offer on, as the case may be, are placed temporarily for administrative purposes. "Confirmation Notice" means the notification that we send electronically to the Purchaser and the Seller, to confirm acceptance of the Purchaser’s bid or offer by the Seller. “Exotic animals” means those species of game listed as such under the http://www.wildlifeauctions.co.za/game.php section of the Site? 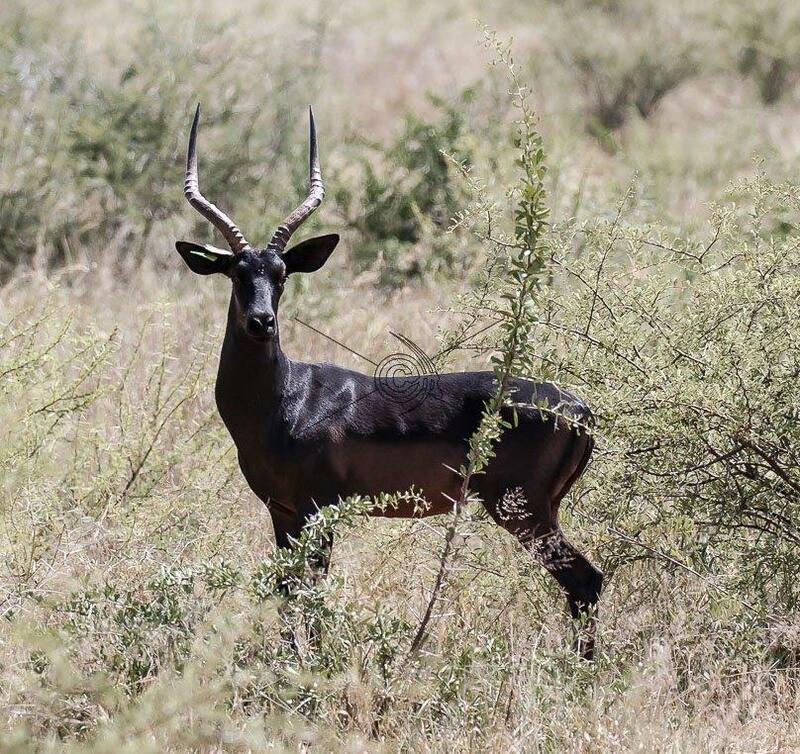 “Game” means the wild animals that may be listed for sale on the Site (in the categories provided for) and of which a list is published under the http://www.wildlifeauctions.co.za section of the Site. “Game Dealer” means a person, firm or company whose business it is to trade in game and can be a Purchaser or a Seller. “Hunting packages” means the right to hunt certain game grouped together in a package, for a certain price (for the total lot) during a specified period on the Terms and Conditions stipulated by the Seller thereof. “Lot” means an item or various similar items grouped together to be sold in one transaction. "Non Auction Item" means Products which a Seller lists to be sold through conventional selling. “Owner of Site” means Wildlife Auctions. “Products” means game and hunting packages being the only items that may currently be listed for sale on the Site. “Reserve Price” means a minimum price per item for game and per lot for hunting packages that a Seller will accept for the Products that he has listed to be sold by means of auction. “Conventional selling” means Products listed for sale with a specified asking price and which a Purchaser can attempt to buy at any time by making an offer equal to the asking price for the particular lot and which the Seller then may accept or not, to which the procedures as in Clause 7 apply. "Fixed Period Auction" means a life online auction of Products to be bidden on for a specific period (minimum 3 days) of time determined by the Seller as more fully set out in Clause 8. "Life Interactive Auction" means an online auction of Products held on a specific day at a specific time once a month and during which lots are presented for life online bidding for a predetermined period as more fully set out in Clause 8. "Site" means the Internet web Site by which Wildlife Auctions offers the Services from time to time, and includes various individual websites hosted at or via the Site, any individual intranet and/or extranet hosted via the Site, and any part thereof. “Site member” means a person, firm or entity which register with the purpose of obtaining information only from the Site and/or using the Site otherwise than for buying or selling. “Supporting services” means the capturing and transfer of game, obtaining permits, and certificate and in transit insurance for game or any of the aforementioned as more fully set out in Clause 11 hereunder. "Trade" or "Trading" means any form of listing on the Site, including but not limited to non auction and auction items. "Transaction” means any successful sale conducted via the Site. “Transaction Price” means the price for which any lot is eventually sold whether it includes the costs of supporting services or not. "Wildlife Auctions" means a Private Company with Limited Liability duly incorporated in terms of the Company Laws of South Africa. (d) the information that we learn about you as a result of your use of the Site, including without limitation, through the Products you post on the Site if you are a Seller, and the Products you bid for and/or acquire if you are a Purchaser. 3.1 Once you accepted these Terms and Conditions you may apply online to become a registered user. We will decide whether to approve your application to become a user or not, within our own sole and unfettered discretion. We will and within a reasonable period after approval of your application, provide you with a username and password in order to login for access to the services offered via the Site. For us to consider your application to become a user, you must supply all the required information for the specific type’s of User (as set out hereunder) that you want to registered for. 3.2 You can register as a Purchaser, Seller or Site member. A Purchaser can also register as a Seller and vice versa. If you are a game dealer you must also register as such be it as a Seller, a Purchaser or both so that your status as such can be shown with any products that you list for sale on the Site. 3.3 If you register as a Seller or a Purchaser, you will be required to provide information on your business or entity you trade with first and then create a user and link to your business entity. A business can have two registered users linked to it. 3.4 We will provide you with services once you have successfully registered. 3.5 You warrant that all details provided by you on registration or at any time are true and correct, and you undertake to inform us of any changes therein. · To notify Wildlife Auctions immediately upon the breach of the confidentiality of your username and password. 3.7 Upon reasonable belief by us that your username and/or password have been compromised, we may require you to change your password, or we may suspend your access or use of the Site pending remedial action. 4.1 You agree to provide all necessary equipment, network connections and software to access this Site. 4.2 Wildlife Auctions aims to offer you the best Products possible, but makes no warranty that access to and use of the Site, contents, and any Products offered thereby will meet your requirements, and cannot guarantee that the service will be fault-free. 4.3 If you experience a faulty service, please report it to us. In such event, Wildlife Auctions will attempt to remedy the fault as soon as it reasonably can. 4.4 Your access to the Wildlife Auctions Site may from time to time be restricted to allow for repairs, maintenance and the introduction of new Products. In such event, Wildlife Auctions will attempt to restore service as soon as it reasonably can. 4.5 We reserve the right in our sole discretion to add to, amend or withdraw from availability, any or all of the Products without notice. Provision of existing Products shall be governed by the Terms and Conditions of this document. 5.1 Subject to the Terms and Conditions of this agreement, you are provided a revocable limited personal non-exclusive non-transferable non-commercial license to access and use the Site and the content for the duration of this agreement. Under no circumstances are you entitled to sub-license access to and/or use of the Site or the content. 5.2 If you disobey these Terms and Conditions, then this agreement will automatically terminate, upon which you may not access, use, copy, transmit, distribute, or communicate at or via the Site or the content. 5.3.2 have absolutely no control over, nor do we represent or hold out that we have any control over any one or more of the circumstances described in Clause 15.5. 5.3.3 have absolutely no control over whether, nor do we represent or hold out that, the Products offered for sale on the Site are legally able to be sold. 5.3.8 will not become involved in any dispute between any Purchaser and Seller arising out of, or in connection with, the completion of any sale and purchase of any Products on the Site, or with this agreement, whatsoever. 5.4 As a user you are given the right to sell items on the Site by paying the relevant fees. This does not involve purchasing the rights to the actual web pages, which remain the property of Wildlife Auctions. 5.5 We reserve the right in our sole discretion to place third party advertisements on the pages without your consent or payment to you. 6.1 When listing Products you must clearly indicate whether you want the Products to be sold by means of conventional selling, life interactive auction or specific period auction. When you list game you must indicate whether you are prepared to provide any of the supporting services and whether the costs of such services will be included in the price that you will eventually accept for the particular lot. 6.2 Should you include transport of game as part of the transaction price but you are not prepared to include delivery anywhere in South Africa, you must indicate a maximum radius area, measured from the place where you are holding the game, in which the asking or transaction price will include delivery. 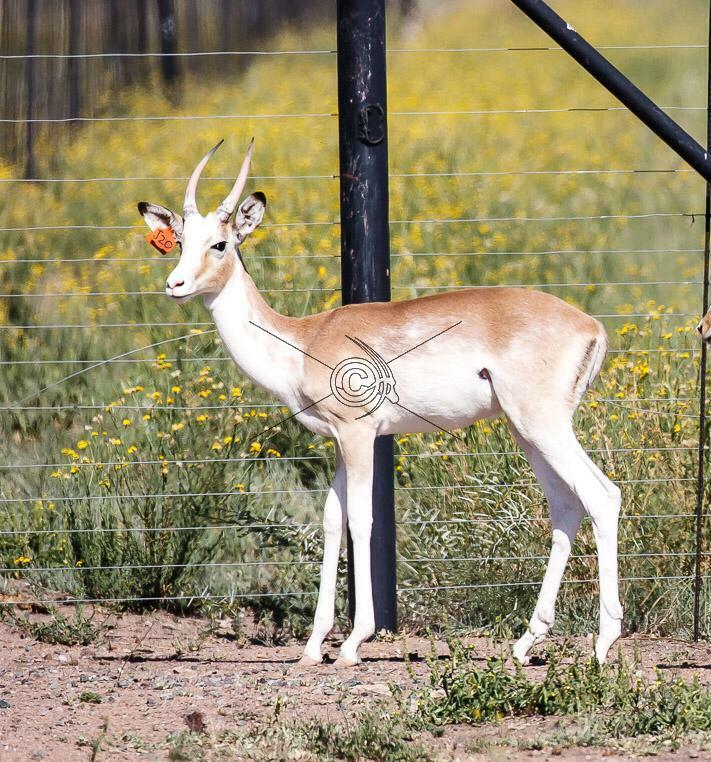 You must then further indicate whether you are prepared should it be necessary to deliver the game to a Purchaser outside the maximum radius area, at the tariffs published on http://www.wildlifeauctions.co.za/services.php?page=transportation-services part of the Site as from time to time. 6.3 If you do not include some of the supporting services as part of the transaction for the game that you wish to sell you must indicate which of the services you will be able to perform should the Purchaser require same and at what costs. 6.4 If your price as Seller includes capturing, transport, permit and insurance arrangements or any of these, then you are obligated to perform such actions within a reasonable time after the transaction, unless you agree otherwise with the Purchaser. 6.5 If you list exotic animals, all legally required or applicable certificates and permits pertaining to these animals must be scanned and imported into the Site so that it can be included in the lot information published on the particular animal(s). 6.6 Please note that you will be required to register your Products in lots to be sold in one individual transaction and all selling of game will be per piece to take the lot. 6.7 In order to create a fair and level playing field, and provide an enjoyable and safe experience for Purchasers, and Sellers you may not manipulate or abuse the listing service to get items featured more regularly, prominently or avoid any obligations or spam the Site with multiple Products. Without derogating from the generality of the above mentioned the following is strictly prohibited. 6.7.1.1 Creating titles and descriptions that do not accurately describe the item for sale. 6.7.1.2 Inappropriate use of names or other words for the purpose of attracting Purchasers. 6.7.2 Anything that attempts to circumvent paying Wildlife Auctions fees (e.g. selling a list of prices, selling a catalogue, cross sell or up selling). This includes listing items with nominal amounts in order to circumvent paying Wildlife Auctions fees or to get contact details from the Purchaser. 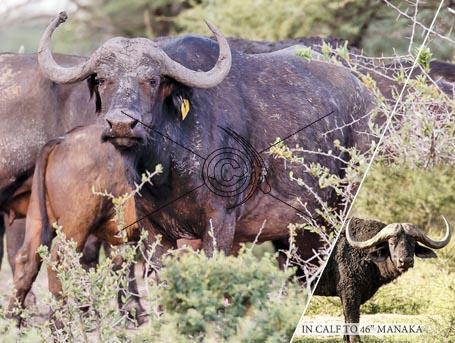 Nominal amounts include any amount beneath R 400 or any value that Wildlife Auctions deems to be nominal, or not a bone fide asking price for the particular item. 6.7.3 Listing an item that requires an additional purchase, swop or trade in. 6.7.4 Offer lay-by's as a payment option to Purchasers. 6.7.5 Listing of items where the Seller is not physically in possession of the goods for sale (for example listing an item as a "pre-order"). 6.7.6 Listing of items soliciting entries for a competition or charitable donations. 6.7.7 Listing of items in inappropriate categories. 6.7.8 An offer to give away Products for free to increase positive ratings. 6.7.9 Bidding on your own items (including having friends, family or acquaintances bid on your items in an attempt to artificially inflate the price). 6.7.10 Including transport costs higher than those published on the http://www.wildlifeauctions.co.za/services.php?page=transportation-services part of the Site as from time to time in item listings. 6.7.11 Use of profanity or offensive language. Keyword spamming or spamming categories with multiple items (with the same or similar items or repeated multiple relisting with short durations.). 6.7.13 Listing any Products not provided for in this agreement or stated on the Site. 6.7.14 Listing that provides for external links (i.e. Links other than those on the www.wildlifeauctions.co.za domain). 6.7.15 Listing contact details of any sort (including telephone numbers and email addresses) in the prescription, this includes advertising your business or services even if no contact details are included. 6.8 Wildlife Auctions may at its sole discretion remove any Products from the Site for any reason whatsoever. 6.9 Users found abusing the system will be given a warning first, thereafter, if this activity continues, the Seller will be charged a listing fee of R100 per listing or he will be prevented from further access and use of the Site. This is entirely at the discretion of Wildlife Auctions and will be monitored and decided on a case by case basis. 7.1 This type of selling provide for the traditional way of selling items on the Site. You can list Products with an asking price which you require for the particular lot. The Purchaser can then attempt to buy the lot at any time by making an online offer equal to the asking price for the lot. You as the Seller will then be informed by us of the offer and will be requested to accept same or not. Should you accept the Purchaser’s offer the transaction will be concluded. 7.2 Every lot that a Purchaser makes an offer on as set out in Clause 7.1 above will be moved into his auction basket. You as Purchaser will then be required to accept these Terms and Conditions which will include acceptance of any Terms and Conditions of the particular Sellers of the lots, where after the various Sellers of the lots will be notified of the offer(s) you made thereon as set out in Clause 7.1 above. 7.3 Once the transaction has been concluded the procedure for completion of the sale and purchase as set out in Clause 10 underneath, will apply. 7.4 All buying and selling of game will be per piece to take the lot and per lot for hunting packages. 7.5.2 the Seller fails to deliver the Products (or fails to procure delivery thereof, as agreed) to the Purchaser, by the date agreed by the Seller and Purchaser. 7.6.2 the Seller is unable to authenticate the identity of the Purchaser. 7.7 Wildlife Auctions accepts no liability for the capturing and/or transporting of game neither for obtaining any legally required certificates or permits that might be needed to purchase and/or to transport these animals nor to arrange in transit insurance of the animals bought. 7.8 All assets are sold to the Purchaser “Voetstoots” and Wildlife Auctions shall not be held liable for any defects or disabilities later or otherwise that might exist with or without our knowledge as is set out more fully in Clause 21 underneath. 8.1.1 This type of auction provides for selling of game once a month on the first Wednesday of every month for game and on the second Wednesday of the month for the hunting packages on a life interactive auction with real time bidding. The auction will be held for the lots that were listed accordingly and you need to be online to partake in the life bidding on the lots on the day and at the specific time when the auction is held. 8.1.3 Every lot that a Purchaser has won the bid on as set out in Clause 8.1.2 above, will be placed into his auction basket. The Purchaser will then be required to accept these Terms and Conditions which will include acceptance of any Terms and Conditions of the particular Sellers of the lots, where after the various Sellers of the lots will be notified of the offer(s) you made on the lot(s) as set out in Clause 7.1 above. The Seller(s) will be requested to accept the bid(s) or not. Should a Seller accept the Purchaser’s bid on a particular lot the transaction is concluded. Once the transaction has been concluded the procedure for completion of the sale and purchase as set out in Clause 10 underneath, will apply. 8.1.4 Items must be listed at least 48 hours before commencement of the life interactive auctions and may not be withdrawn from the auction later than 24 hours before the scheduled time is for commencement of the auction. 8.1.5 The monthly auctions as set out in Clause 8.1.1 above will commence at 19H00 in the evenings unless otherwise published on the Site. ? 8.1.6 Items may be listed with or without a reserve price. 8.2.1 This type of auction provides for online selling of items on an anytime basis during a bidding period minimum 3 days that the Seller of the item has determined and indicated in the listing. 8.2.2 Bidding can be done online during the predetermined bidding period. You will be able to view the bidding as it progress and can place bids at any time during the bidding period. 8.2.3.1 Every lot that a Purchaser has won the bid on as set out in Clause 8.2.3 above, will be placed into his auction basket. The Purchaser will then be required to accept these Terms and Conditions which will include acceptance of any Terms and Conditions of the particular Sellers of the lots, where after the various Sellers of the lots will be notified of the offer(s) you made on the lot(s) as set out in Clause 7.1 above. The Seller(s) will be requested to accept the bid(s) or not. Should a Seller accept the Purchaser’s bid on a particular lot the transaction is concluded. Once the transaction has been concluded the procedure for completion of the sale and purchase as set out in Clause 10 underneath, will apply. 8.2.4 Items may be listed with or without a reserve price. 9.5.3 the Seller fails to deliver the Products (or fails to procure delivery thereof, as agreed) to the Purchaser, by the date agreed by the Seller and Purchaser. 9.6 Bid deletion is not permitted without a valid reason or without the permission of Wildlife Auctions. 9.7.2 the Seller is unable to authenticate the identity of the Purchaser. 9.9 Wildlife Auctions accepts no liability for the capturing and/or transporting of game neither for obtaining any legally required permits that might be needed to purchase and/or to transport these animals nor to arrange in transit insurance of the animals bought at the auctions. 9.10 All assets are sold to the Purchaser “Voetstoots” and Wildlife Auctions shall not be held liable for any defects or disabilities later or otherwise that might exist with or without the knowledge of the company as is set out more fully in Clause 21 underneath. 9.11 The auction shall take place under the exclusive control of Wildlife Auctions. 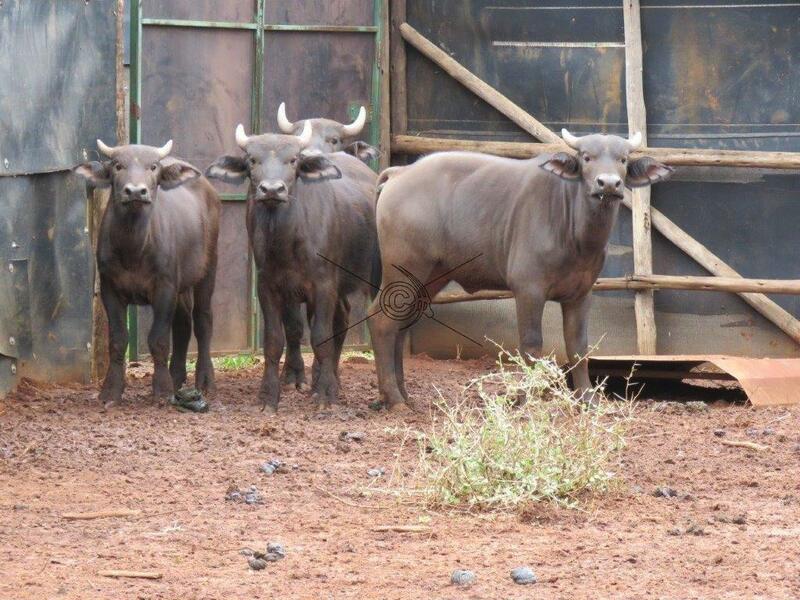 Wildlife Auctions reserve the right, in its sole discretion, to refuse the bid of any person, to regulate the bidding, to indicate the highest bidder and to vary the order of the sale at anytime without giving reasons therefore. If Wildlife Auctions suspect that a bidder has not made a bone fide bid, it may refuse to accept the bid of such bidder. On refusal of a bid under such circumstances the lot may immediately be re-auctioned or the bid of the runner up be accepted. 10.1 We will notify the Seller of the highest bids received on his lots at the close of the auction or in the event of a conventional sale once an offer by a Purchaser have been received by automated email or sms. We will request the Seller to confirm acceptance thereof or not which the Seller must do within 48 hours after we have send this notice by means of electronic reply to that effect to us. We will in turn notify the highest bidder or Purchaser in the event of a conventional sale of the Seller’s reply by automated email or sms. Should the Seller accept a bid or an offer, we will send to the Seller and the successful Purchaser a Confirmation Notice. · Obtaining game permits and certificates. 10.5.6 Payment of all applicable taxes, duties and costs (including, without limitation, VAT or other consumption taxes and customs and other import duties and tariffs) incurred in connection with the sale and purchase of the Products. 10.8 As we are not involved in the sale and purchase of any Products other than providing a platform for an auction and as described in Clause 10.1 we will never accept returns of any Products purchased on the Site as we are not the Seller. You must therefore direct all enquiries, of whatever nature, including, but not limited to, Products being of a defective disabled nature, infected, not fit for a particular purpose, or non-delivery of any Products, to the Seller, at whose sole discretion, the Products may be replaced or the price refunded. 10.9 Notwithstanding the Confirmation Notice send to the Purchaser as described in Clause 10.4, the Seller will be obliged to provide the Purchaser with a proper tax or other invoice required by any applicable taxation or other laws of the Republic of South Africa. 11.1.3 The issuing of certificates by a qualified veterinarian as may be required or the obtaining of permits from Government apartments or otherwise for the transporting and/or keeping for any particular game or as may be otherwise required by law. 11.2 Please take note that we do not provide these services our self or are involved in the provision there of in any manner. Subsequently we do not give any warranty or make any representation in relation thereto or the persons and business that advertise these services on the Site or that we publish the details of and subsequently does not accept any liability or obligation for any loss or damage of whatever nature suffered by you as a result making use of the services. To make use of these services or not is totally up to you. 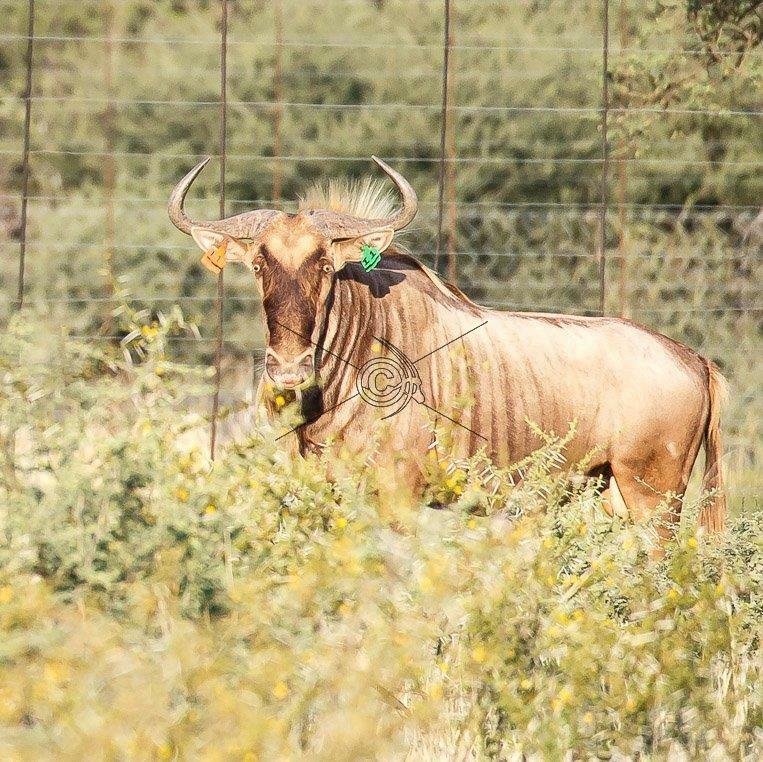 11.3 We also provide useful information on the Site pertaining to the Wildlife industry in South Africa in general to assist you when trading in game. You may for example want to refer to the useful information section of the Site to determine whether you qualify to buy the particular game in terms of the size of your Property. Equally we do not give any warranty or make any representations in relation to the information be it to the correctness thereof or otherwise and it is presented on the basis that we do not accept any liability or obligation for any loss or damage suffered by you as a result of making use thereof. 11.4 The information provided as set out herein is explicitly provided on the conditions stipulated in Clauses 21 and 22 underneath. 12.1 Registering, bidding on, buying, browsing, searching and listing items at any time on the Site do not attract a fee. 12.3 The current Fee payable to us and applicable to all successful transaction conducted via the Site is 2, 5 % for game sold and 5% for hunting packages sold of the transaction price (the amount for which the Item(s) were sold) plus VAT. 12.4 We may choose in our sole discretion to change our fees from time to time be it for promotional events or otherwise. We will give you notice by posting details on the Site and the changes will be effective from the date specified in such notice. 12.5 You will be invoiced for every successful sale (transaction) concluded through the Site. An Electronic Tax Invoice/Statement will be emailed to you after every transaction. The fees shall be payable in 14 days from date of invoice or transaction whichever occurs first and can only be paid by Electronic Fund Transfer or deposits. 12.6 You can view the outstanding amount due to us at any time by accessing your Wildlife Auctions account in the Member's area on the Site. 12.7 Should you fail to pay any amount due to us on due date as per the relevant invoice, we will be entitled to levy interest on any arrear amount at 2% above the ABSA Bank Limited prime interest rate from time to time and you will also be held liable for any legal fees on attorney and own client scale including collection commissions and tracing costs incurred by us to recover this money from you. In the circumstances we will be entitled to suspend or disable your access and use of the Site and we reserve the right to levy a re-activation fee of R200.00 after you have paid the arrear amount and wish to use the services again. 12.8 Unless otherwise stated, all fees are quoted in South African Rands and are exclusive of VAT. · The Purchaser has not responded to your attempts to contact him during a period of 7 days after the end of the auction or normal sale. · The Purchaser does not fulfill the deal (this includes the Purchaser backing out or not paying, or claiming that the terms of sale are unacceptable). · The Purchaser’s payment fails (this includes the Purchaser’s cheque bouncing or the Purchaser stopping payment going through for some reason). · The Purchaser returns the item and you refund the money. · One or more of the Purchasers back out in a multiple quantity auction or normal sale. 13.2 If your credit request is successful, the credit will be set of against any outstanding amount that you owe Wildlife Auctions and if no amount is outstanding the credit will be paid to you within 14 days of your credit request being approved. 13.3 In the event that we introduce a new Service, any fees for that Service will take effect from the launch of that Service, unless otherwise stated. 14.6 to the extent permitted by law, the Seller may exclude all terms, conditions and warranties whether express, implied, statutory, common law, or otherwise, relating to the Products, in all of the Seller’s dealings in connection with the Products that you may purchase from the Seller through the Site. 15.1 Subject to this Clause 15 and Clause 17, you may post the Products that you wish to offer for sale on the Site. 15.2 You agree that we or our nominated agent may undertake any necessary credit checks on you where applicable. 15.3 In addition to any other rights we may have under this agreement, if you fail to comply with the credit check as in clause 15.2 we may prevent you from participating in any auction or conventional selling on the Site, or from using the services. 15.4.12 you will adhere to the provision regulating the Listing of Products as set out in Clause 6 above. 15.6.2 is legally able to be offered for sale, and sold on the Site, and otherwise and that the offer and sale of those Products is not in contravention of any law. 15.7 You may set a reserve price for the Products, but such price, must not be set out in the information provided about the Products to which that reserve price, applies or otherwise disclosed to any person at any time. 15.9 You agree that such Terms and Conditions will include any matters prescribed by us under this agreement including the matters set out in Clause 10.7.2, 10.7.4 and 10.9. 16.1 It is a condition of using the services that you agree that feedback, comments and ratings scores may be provided about you as set in Clause 16.2 underneath. If you do not agree to this condition, then please do not accept these Terms and Conditions. 16.2 If you believe a statement made about you pursuant to Clause 16.1 is untrue, misleading or deceptive or defamatory (" Questionable Statement "), please contact us at wildlifeauctions.co.za and we will conduct an investigation. As a result of an investigation, we may (although we are not obliged to) remove the Questionable Statement. Whether or not we conduct an investigation, and irrespective of whether we remove the Questionable Statement, and even if we do not conduct an investigation, because you do not contact us or for any other reason, you hereby release us and waive any rights you may have had against us in relation to the Questionable Statement or any statement made about you pursuant to this rating facility and you agree that you will not make any claims or demands, or take any action, issue or maintain any proceedings or suits against us in relation to the Questionable Statement or any statement made about you pursuant to this rating facility or otherwise, in connection with the Site, or your use of the Site. 16.3 You are only permitted to rate a user who is a Seller if you have interacted with that Seller, and if you were the successful bidder in an auction or conventional sale and completed the purchase of those Products with that Seller (“Rating Criteria”). You may not provide a rating for a Seller outside the Rating Criteria. 16.4 You are only permitted to rate a user who is a Purchaser if you have interacted with that Purchaser, and where that Purchaser was the successful bidder/Purchaser in your auction or conventional sale and with whom you have completed the sale of those Products (“Rating Criteria”). You may not provide a rating for a Purchaser outside the Rating Criteria. 16.5 Comments and ratings cannot be edited once submitted. Therefore please be cautious when adding your comment, as you are unable to edit it once you have submitted it. You could also be held liable for damage(s) to the Purchaser/Seller if legal proceedings are taken against you for your comment. 16.6 You may not abuse the rating facility. Abuse of the facility includes using your friends to lower the rating of another member or raise your own rating. Threatening, abusive, racially vilifying, discriminatory or profane language is also abuse of the facility and is not allowed. 16.7 We would like to promote and preserve free speech and therefore will remove feedback only in exceptional circumstances. Wildlife Auctions reserves the right to delete any rating at its sole discretion upon an investigation into the rating (although we are not obliged to do so). 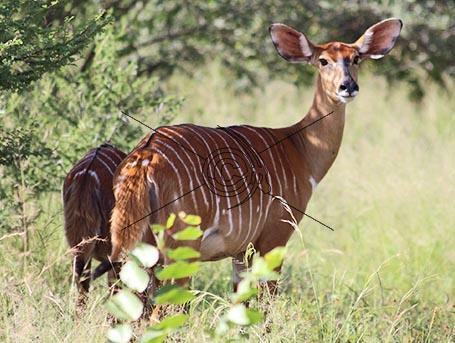 If you feel that you have received an unfair rating or you have evidence of any abuse of the rating facility, please contact us on info@wildlifeauctions.co.za and we will investigate the matter. Please note that this investigation may take several weeks. · If we are required by law to do so. 16.9 In particular, if your percentage positive ratings drop below 90%, you risk having your verified user status revoked. 17.1.8 for any other reason whatsoever and you irrevocably and unconditionally agree that any rights that you may have had against us in respect of any action we may have taken under this Clause 17, are hereby waived. 18.1 Wildlife Auctions receives various types of information (“your Information”) about you when you access the Site. Wildlife Auctions makes every reasonable effort to protect Information received by it. Despite such undertaking, it is possible for Internet-based communications to be intercepted. You are urged to exercise restraint and caution in all communications, and to apply industry-standard protection measures to your systems. Accordingly Wildlife Auctions takes no responsibility, and assumes no liability for any Information posted by you or any third party to the Site. To ensure acquaintance with and awareness of the privacy measures and polices of Wildlife Auctions, You are urged to note the underlying privacy clauses incorporated in this agreement. 18.2.1 You may visit the Site without providing any personal Information. The Site servers will in such instances collect the IP address of your computer, but not any other personally-identifying Information. 18.2.2 This Information is aggregated to measure the number of visits, average time spent at the Site, pages viewed, etc. Wildlife Auctions uses this Information to measure use of the Site, to market the Site as a commercial service, and to improve the Site generally. 18.2.3 Wildlife Auctions assumes no obligation to protect this Information, and may copy, distribute or otherwise use such Information without limitation. 18.3.1 If You post Information to the Site without being asked for it, you grant a non-exclusive, royalty-free, perpetual, irrevocable, and fully sub-licensable right to ourselves to use, reproduce, modify, adapt, publish, translate, create derivative works from, distribute, and display such Information throughout the world in any media. 18.3.2 You grant to ourselves the right to use your name in connection with such the information, if we choose to do so. 18.3.3 Wildlife Auctions reserves the right but not the obligation to monitor and edit or remove any Information, where posted to public pages. Accordingly Wildlife Auctions takes no responsibility, and assumes no liability for any Information posted by you or any third party to the Site. 18.4.1 If you require any Wildlife Auctions Products, you must apply for Registration at the Site, and supply personal Information to process administrative functions and transactions. You may choose not to provide certain personal Information, but that may limit the services or Products that Wildlife Auctions is able to provide to you. 18.4.2 Wildlife Auctions provides its Products in conjunction with its affiliates and subsidiaries. Your personal Information that is required by affiliates and subsidiaries to give effect to transactions that you choose to enter into is shared with those entities. Accordingly Wildlife Auctions takes no responsibility, and assumes no liability for any Information posted by you or any third party to the Site. 18.5.1 Wildlife Auctions aspires to provide industry-standard service to its customers, which necessitate Wildlife Auctions providing information to you regarding new Products, industry developments and services or special offers. In each instance, you are provided an opportunity to opt-out of such Information circulars. 18.6.1 Wildlife Auctions may enter into business arrangements whereby its customer base is one of the more valued assets. In such an event, customer Information will be one of the transferable assets. 18.7.1 When a court-sanctioned subpoena, or similar instrument, requiring the delivery of personal customer Information is received by Wildlife Auctions, it has the legal duty to abide by that demand, if withholding such information will result in any other claim by a person to whom we have to pay compensation, or if we consider it necessary or desirable to make disclosures to reserve or enforce our interest or rights. 18.8.1 Wildlife Auctions may periodically conduct online customer care surveys to facilitate the updating of service standards. When it conducts a survey, Wildlife Auctions will inform you how the Information gathered will be used, and will provide you with the opportunity to opt-out from such surveys. 19.1 You agree to promptly inform us of any breach by you of the terms of this agreement and of any conduct of another user that you think may be a breach of this agreement, whether the conduct has ceased, is continuing, or may occur in the future. 19.2 You agree that we may and will monitor your conduct if we believe that you are not complying with the terms of this agreement. If we do, then we will respect your privacy, as described in Clause 18 above. 19.3 If we reasonably believe, whether or not we have conducted any monitoring, that you are not, or may be in danger of not, complying with any of the provisions of this agreement, then we may send you a warning asking you to rectify your conduct (although we will not be obliged to do so). 19.5.4 terminate the agreement that we have entered into with you, and cancel our obligations to provide the services, if we are not satisfied that you will clearly and completely adhere to the terms of this agreement, on a permanent and consistent basis, if the services are restored to you. 20.1.2 Advertising, and electronic registration forms are all examples of commercial uses of the services where you must bear the risk absolutely. 20.2 The services on the Site are provided to you personally and you must never resell, trade, or barter your rights to use the services to another person or persons nor permit any third party to use the services. 20.3.4 we cannot always ensure that the Site, its computer systems and network resources will be fully or continually protected from unlawful access by others, including the infection of data or other information by viruses, or the alteration, misuse, or stealing of data or other information or that any of these activities will be detected. 21.1 You may not access the Site under circumstances where the access to or use of the Site or the content can reasonably be expected to result in monetary damage or loss, mental or physical injury, or endanger to or loss of life. 21.2 Any such access to or use of the Site or the content in conflict with the above clause will be entirely at your own risk, and you agree to hold Wildlife Auctions harmless from any claims or losses arising from such access or use. 21.3 By your access to or use of the Site, you assume the entire risk therein. This Site and the content are provided "as is", and does not contain or include any warranty of any kind, whether express or implied. 21.4 Specifically, ourselves do not make any representations, endorsements or warranties, express or implied, concerning the availability, currency, accuracy, or completeness of the Site or the content or the reliability of information displayed at or otherwise made available through the Site. 21.5.10 any conduct, act or omission, whether negligent, reckless, or otherwise, whether within any actual, ostensible, or apparent authority or not on the part of our employees, agents, or authorised representatives. 21.6 Our non or limited liability as set out in Clause 21.5 will apply whether we or another person could have foreseen such a loss or type of loss, or were negligent or reckless, whether or not the loss was suffered in connection with a business or commercial enterprise. 21.7 To the extent permitted by law, all terms, conditions and warranties or representations, or representation whether express, implied, statutory, common law or otherwise relating to the services or anything in these Terms and Conditions, are excluded unless expressly included in this agreement. 21.9.3 the payment of the cost of having the services supplied again. 21.10 Notwithstanding anything else in this agreement if an Indemnified Party is liable to you, whether in respect of negligence or other delict, breach of contract or warranty, breach of statute or statutory duty, equity or otherwise directly or indirectly in relation to the performance of or any delay or failure in the performance of its obligations under this agreement, the maximum aggregate liability of an Indemnified Party, in respect of all claims made by you for every 12 month period commencing on the execution of this agreement or the anniversary thereof shall be R1000. 21.11 In particular, Wildlife Auctions makes no warranty in respect of malicious code. The Site does not scan for virus code. You acknowledge and accept the responsibility to obtain and operate your own anti-virus protection. 22.1.7 Any fines or penalties imposed by any legal or regulatory authority in connection with the above prohibited activities. 22.1.9 any claim by any person arising out of, or in connection with any cessation (temporary or permanent) of the supply of the services in accordance with this agreement. 22.1.2 losses occasioned by us as a result of this agreement proving not to be profitable to us. 23.2 Any links or references (direct or indirect) to other websites on the Site are provided for your convenience only and do not, and are not an express or implied endorsement by us, of those websites, or the Products, information and services contained on those websites. 23.3 The information and material contained on the Site has been prepared in accordance with the laws of the Republic of South Africa for use in the Republic of South Africa only. It may not comply with the laws (including any intellectual property laws) of any other country, and we make no representation that it does. If you choose to access the Site from outside the Republic of South Africa and or make use of the services, you do so at your own risk and will be completely liable and responsible for ensuring compliance with the laws of the country in which you are located. For as far as it may be relevant you assents to the jurisdiction and governing law as described in Clause 32 underneath. 24.1.5 accept that certain content on the Site, despite any steps we may take may contain material that you may find inappropriate, offensive, inflammatory, and further accept that we do not endorse such materials and disclaim any and all liability for their contents. 24.1.6 accept liability for the actions of the people (if any) that you allowed to access, or transmit information through the Site, our computer systems and network resources or otherwise utilise the services (whether or not you have given them your login and password details or not). 25.1.2.3 you have the power and have taken all corporate and other action required to enter into this agreement and to authorise entering into this agreement and performing your obligations under this agreement. 25.2.1 If you are under 18 years of age you do not have contractual capacity or if you are not legally permitted to enter into a binding and enforceable agreement, then you may not register as a user or make use of the services of Wildlife Auctions, unless you are duly supervised by and you have obtained the approval of your parent or legal guardian or spouse. 25.2.2 If your parent or legal guardian supervises you and gives his/her consent, then such person hereby agrees to be bound and to be liable and responsible for you and for all your obligations or duties in terms of the agreement entered into between yourself and Wildlife Auctions (Pty) Ltd.
25.3.1 If you are not legally permitted to enter into a binding and enforceable agreement due to being placed under curatorship or if you have been sequestrated or if you have been placed under debt review, then you must obtain the consent of your curator or trustee or debt councilor. 25.3.2 To the extent that you utilize our services, we shall deem it that you were / are supervised by and that you have obtained the consent of your parent or legal guardian or curator or trustee on debt councilor as the case may be. The onus to prove that you were not supervised or did obtain the required Site’s consent shall rest with you. 25.3.3 We strictly reserve our rights to refuse our service, terminate or cancel orders, should Wildlife Auctions, in our sole discretion find or reasonably suspects that you have failed for whatsoever reason to comply with the aforementioned provisions or the remaining provisions of these Terms and Conditions, without prejudice to any other rights that we may have at law. 26.1 The Site displays Content which consists of Copyrighted works, owned by their proprietors, including Wildlife Auctions, its affiliates and/or subsidiaries, or any other third party owners of such content (“ourselves”). 26.2 The Copyrighted works may include without limitation Literary Works, Musical Works, Artistic Works, Sound Recordings, Cinematograph Films, Sound and Television Broadcasts, Program-Carrying Signals, Published Editions and Computer Programs (“the content”). 26.3 All such content, and the compilation of the content, is protected by South Africa and international copyright laws. All rights in and to the content is reserved and retained by ourselves. 26.4 You are not granted a license or any other right including without limitation under Copyright, Trademark, Patent or other Intellectual Property Rights in or to the content, other than as specified in these Terms and Conditions. 26.5 You agree and acknowledge that any derivative work or adaptation made by you of the content is the property of us, and no assignment or transfer or general right of use therein is acquired by you unless agreed to and reduced to writing. 26.6 All content downloaded or otherwise copied from the Site may only be stored and/or presented, regardless of format, in conjunction with all copyright, trademark or other proprietary notices used in conjunction with the content on the Site. 26.7 The source code of the Site or any separate software accessed thereby is not provided with the Site. Any attempt by you to reveal, obtain or otherwise access the source code is a violation of this agreement, and terminates it without limitation of Wildlife Auction's right of recourse to pursue all applicable action for infringement of its intellectual property. 26.8 Should you submit to the Site any content as defined above, you thereby warrant that you own or are otherwise legally entitled to supply the content submitted to the Site; that such content is accurate; that by the supply of the content to Wildlife Auctions, you do not violate any law, nor that such supply will cause injury to any person or entity; and that you indemnify the owners against all claims in respect of content you supply to it. 27.1 We have an absolute discretion to change the terms of this agreement at any time. If we do so, we will post details of any changes on the Site that will be effective forthwith. 27.2 By accepting this agreement, you also agree to accept and be bound by any changes made by us under this Clause 27. In any event, your continued use of the services after any changes to the terms of this agreement have taken effect in accordance with Clause 27.1 will be deemed to be your acceptance of those changes to the terms of this agreement. 28.1 All rights of any kind in respect of the Site which are not expressly granted in this agreement are entirely and exclusively reserved to and by Wildlife Auctions. 28.2 You may not rent, lease, or use commercially, nor modify, translate, reverse engineer, decompile, disassemble the Site or the content or any party thereof, nor create derivative works based on the Site or the content or any party thereof. 28.3 Wildlife Auctions reserves the right to revoke all rights in this agreement without notice, at any time, and for any or no reason. 29.1 You and Wildlife Auctions must follow the procedure for resolving any dispute in connection with or arising out of this agreement, in accordance with this Clause 30 before starting any proceedings (except proceedings seeking urgent interlocutory relief). 29.2.3 failing such a resolution, the dispute, if arbitrable in law, shall be finally resolved in accordance with the Rules of the Arbitration Foundation of Southern Africa by an arbitrator(s) appointed by the Foundation. This agreement will be governed by the laws in force in the Republic of South Africa and each party unconditionally submits to the non-exclusive jurisdiction of the Courts of the Republic of South Africa in relation to any legal action, suit or proceeding arising out of or with respect to this agreement. 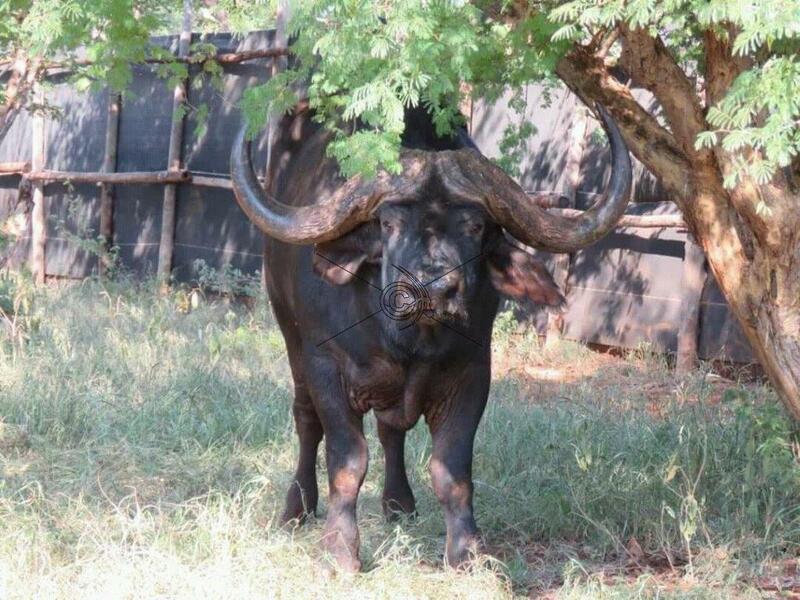 Any notice to be served by either party to the other must be in writing and will be sent by hand delivery, post or facsimile, or email to the relevant party to this agreement at its respective address as specified on the application for registration on the Site and, in the case of Wildlife Auctions, http://www.wildlifeauctions.co.za South Africa and in the case of mail will be deemed to have been served 3 business days after posting. In the case of a facsimile it will be deemed to have been served on receipt of a successful transmission notice and in the case of email it will be deemed to have been served if no return email stating that the email cannot be delivered is received. Apart from what is explicitly stated in this agreement nothing in this agreement shall be deemed to constitute any party as the agent, partner or joint venturer of another party. Each of the provisions of this agreement shall be considered as separate terms and conditions and in the event that this agreement is affected by any legislation or any amendment thereto, or if the provisions herein contained are by virtue of that legislation or otherwise, held to be illegal, invalid, prohibited or unenforceable, then any such provisions shall be ineffective only to the extent of the illegality, invalidity, prohibition or unenforceability and each of the remaining provisions hereof shall remain in full force and effect as if the illegal, invalid, prohibited or unenforceable provision was not a part hereof. 36.5 if any provision in a definition is a substantive provision conferring rights or imposing duties on any Party, notwithstanding that it is only in the definition clause, effect shall be given to it as if it were a substantive provision in this agreement. 36.6 the clause headings are intended for convenience only and shall not affect the construction or interpretation of this agreement. 36.9 references to any enactment shall be deemed to include references to such enactment as re-enacted, amended or extended from time to time.